Is there a security update for the Intel ME firmware for my Razer Blade 14” (2016) - Intel 6700HQ - GTX1060? My Razer Blade 2016 (GTX 1060) seems to have excessive fan noise, even when it is only idling. Razer has released a firmware update that will adjust the timing and speed of your fans. This update reduces the fan noise coming from your Razer Blade. The firmware and instructions for installing this update can be found by clicking here. Please be sure to read the PDF installation instructions before proceeding with the update. 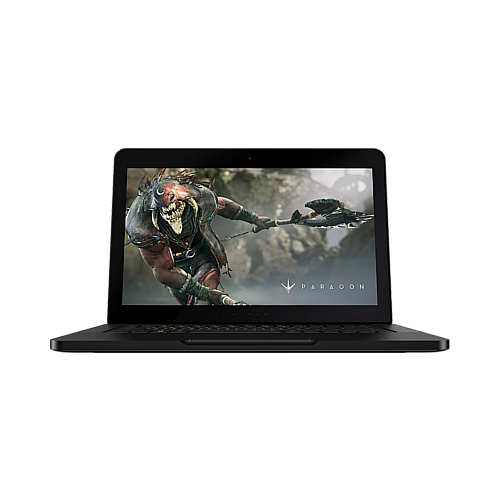 Note: This update is only applicable for Razer Blade 14” (2016) - Intel 6700HQ - GTX1060 (Product ID beginning with RZ09-01952 [refer to the back of your Razer Blade]). If you are not sure of the model of your Razer Blade, please contact Support here. Note: This update is only applicable for Razer Blade 14” (2016) - Intel 6700HQ - GTX1060 (Product ID beginning with RZ09-01952 [refer to the back of your Razer Blade]). Razer must verify that the product is within the specified warranty period and that it was purchased from an authorized reseller. Products purchased from unauthorized dealers are often used, counterfeit, re-boxed, defective, or gray market goods. These units may also not be designed and packaged to work in your country and may not meet all legal and safety requirements. Razer will not be able to honor a warranty on products purchased from an unauthorized dealer or that are out of the warranty period. If you purchased a product from an unauthorized reseller, all support and warranty issues should be directed to that reseller.